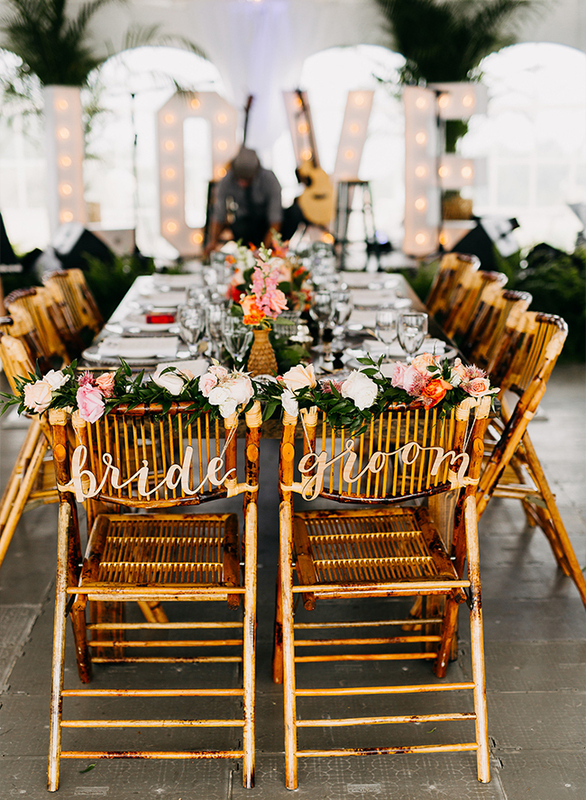 With a bride & groom this talented and creative, it is a given that their ceremony would be just as enjoyable to guests as it was for them! 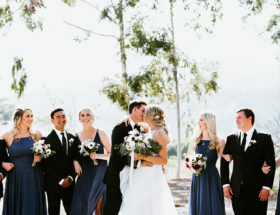 From start to finish this wedding is perfection! 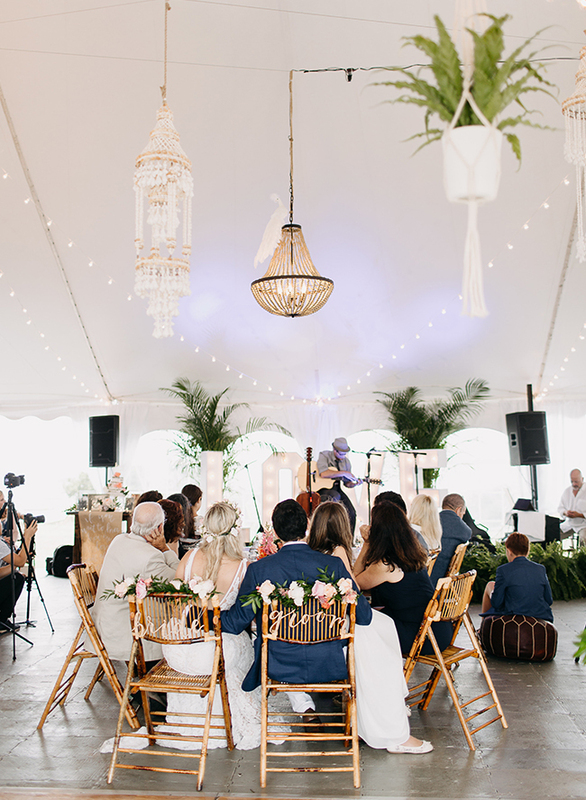 As the bride walked down the aisle, the groom serenaded her (and the adoring guests) with music! 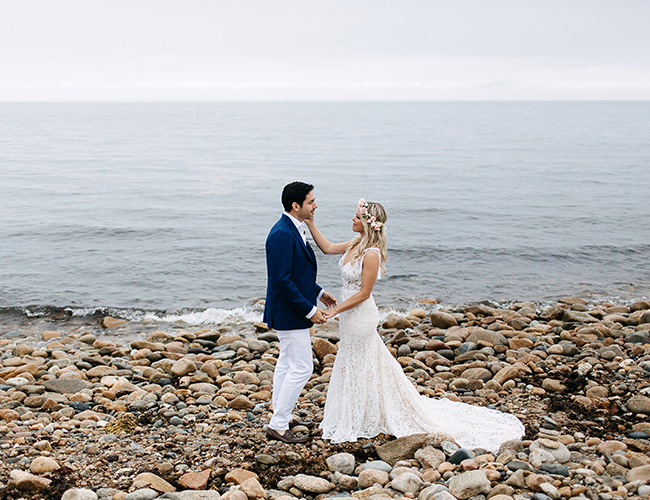 Right after a picture perfect first look, of course! 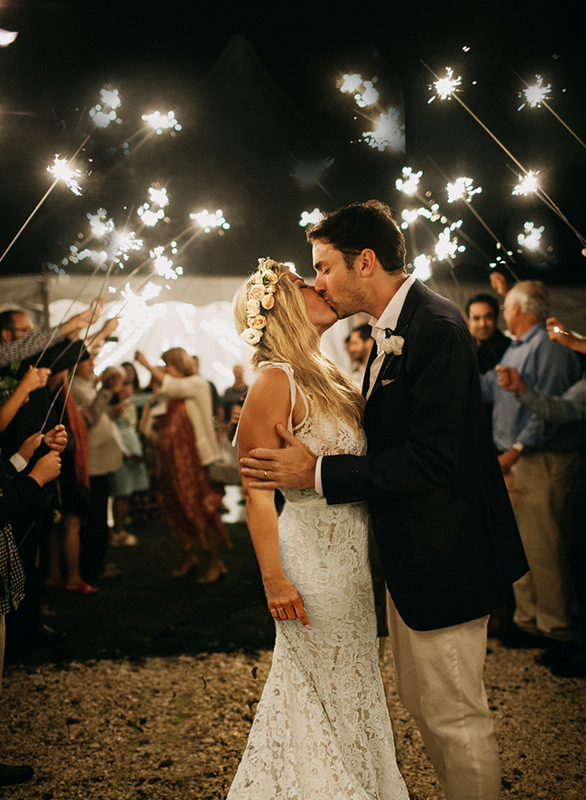 Let us be the first to say that everyone in attendance is just lucky to be apart of this beautiful love story. 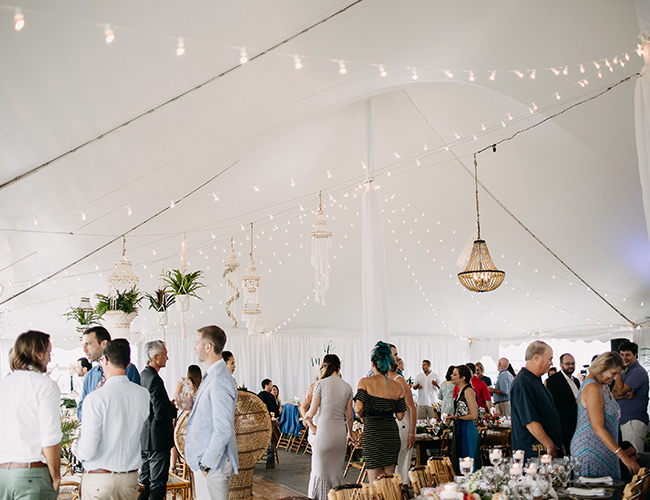 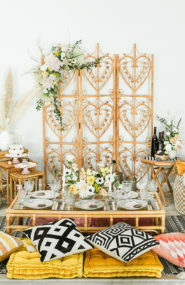 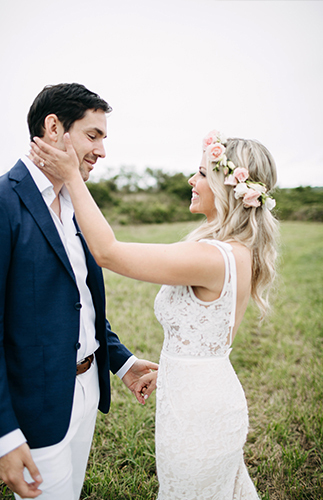 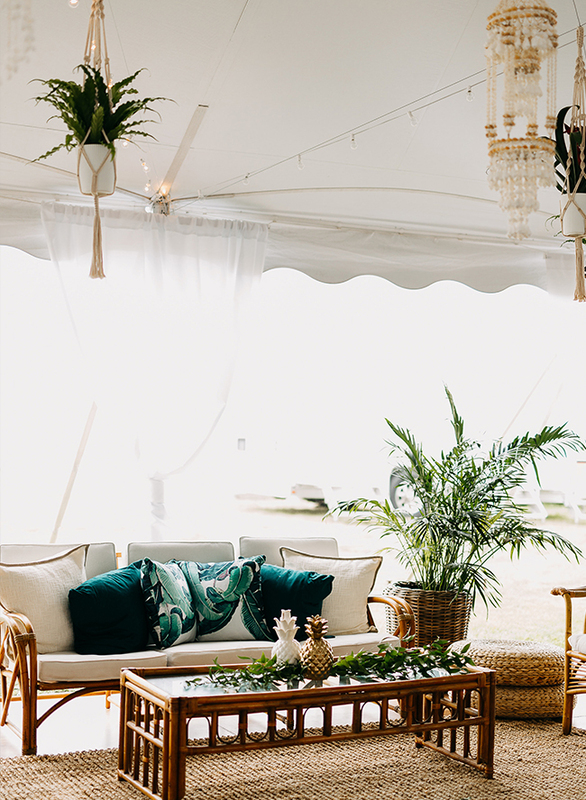 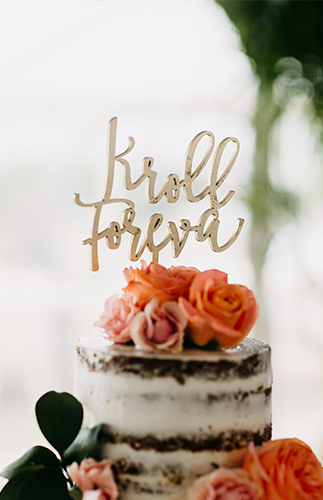 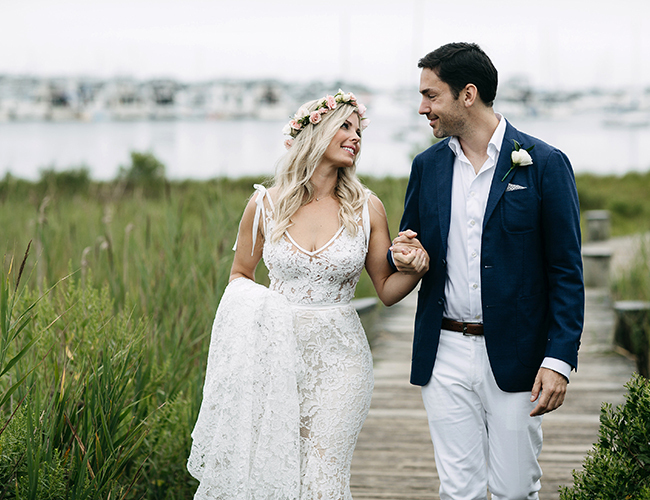 But, the sparklers, live performance, and dance party were welcome fun additions to this coastal boho wedding! 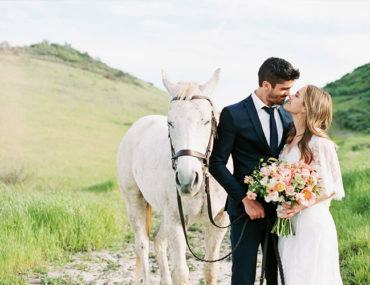 If it isn’t fate that the two happened to have had the same last name before the marriage, then we don’t know what is?! 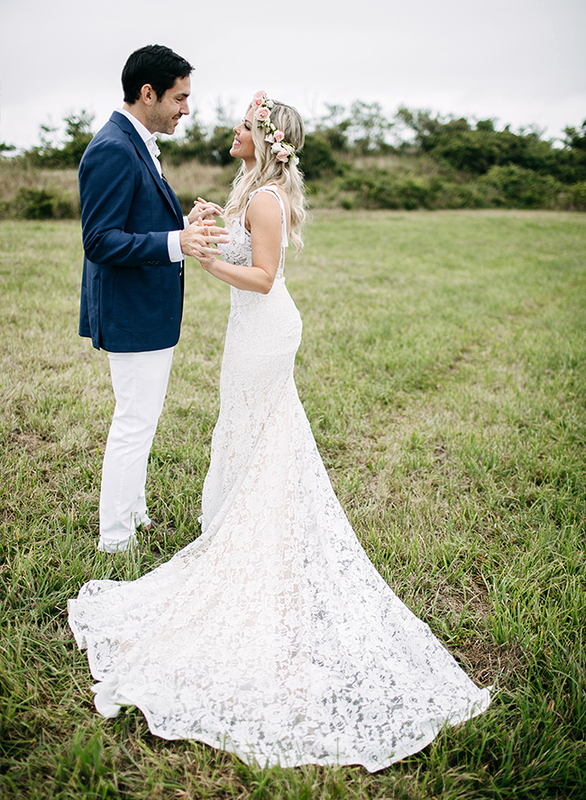 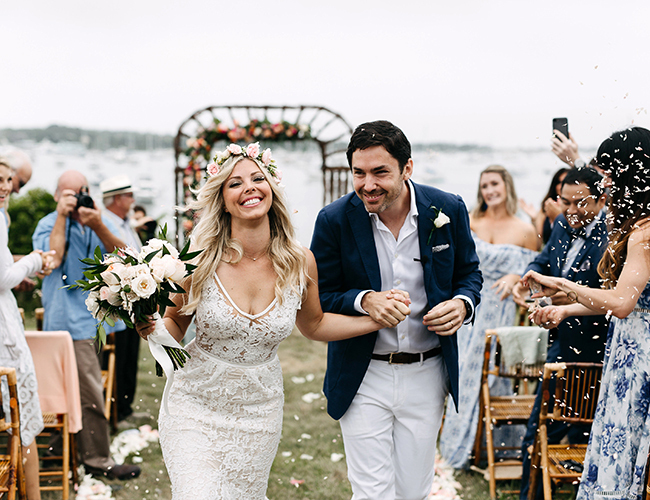 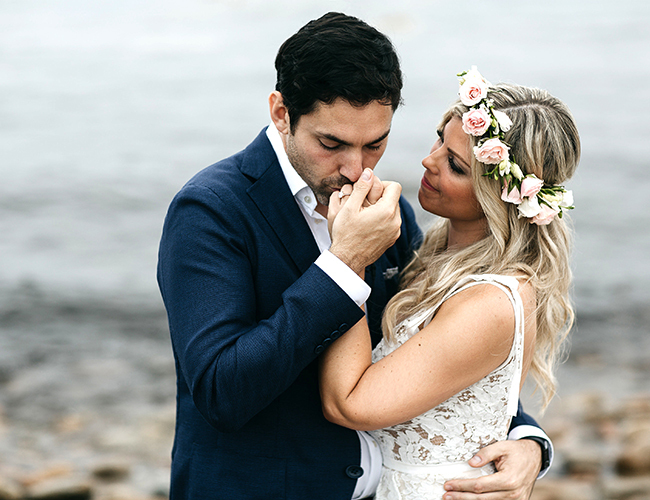 Ginger & Charlie Kroll were married last summer off the coast of Block Island, Rhode Island in a beautiful coastal boho-inspired ceremony and reception. 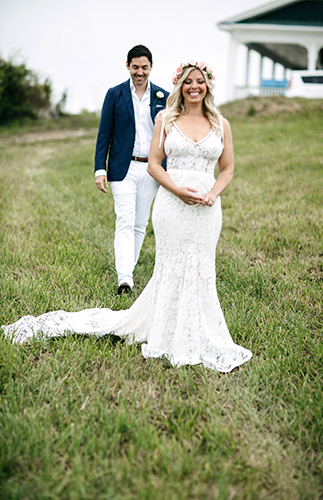 Ginger & Charlie both shared the same maiden name even before getting married which was such a fun gag for guests to chat about throughout the day. 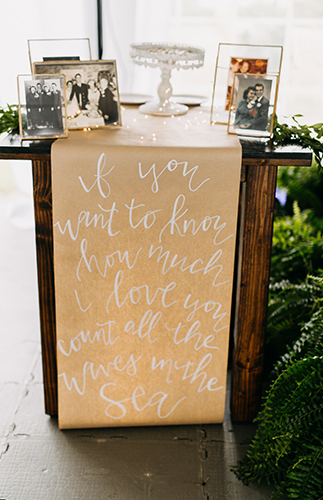 Ginger drew a ton of inspiration from the sea with calligraphed oyster shells, tropical botanics and salty pineapple accents. 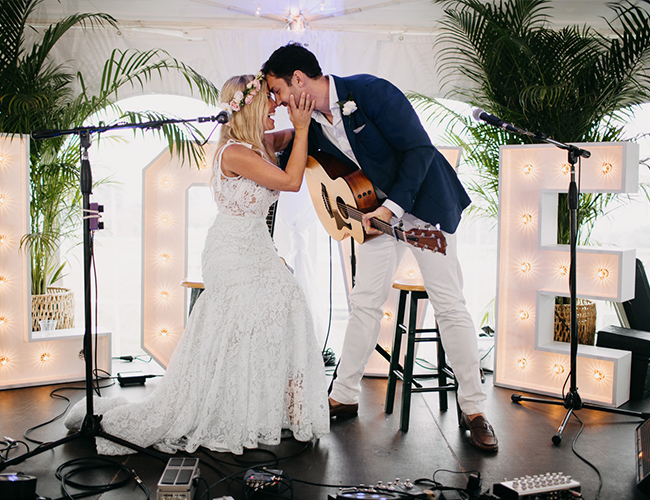 The groom Charlie, an entrepreneur and musician, received a custom guitar pick gift from his bride, Ginger, on the morning of their wedding. 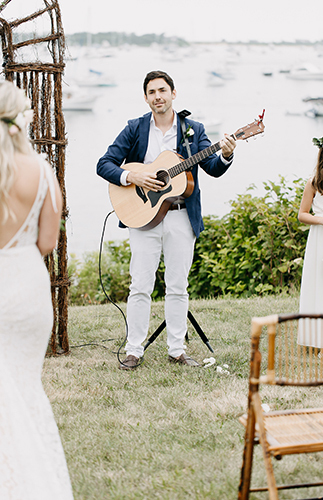 Charlie serenaded wedding guests and, ultimately, his bride as she processed towards him down the aisle. 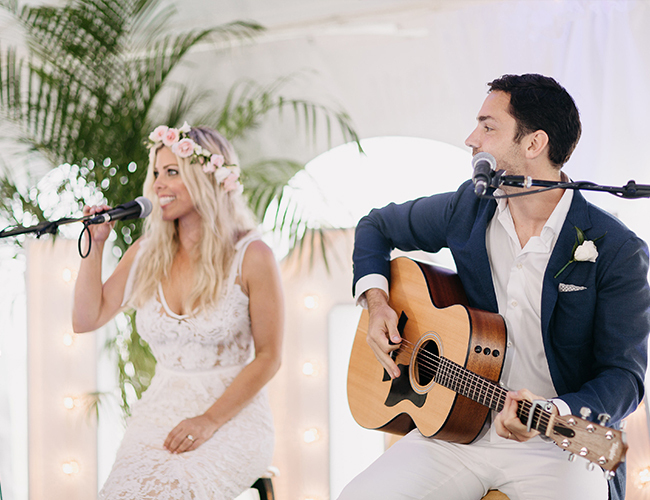 And later, the two took the stage as husband & wife and sang to their closest family & friends. 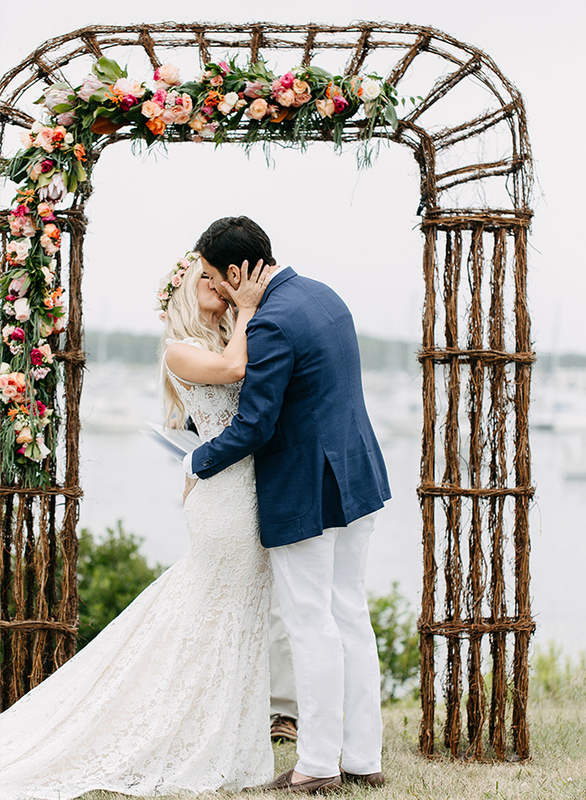 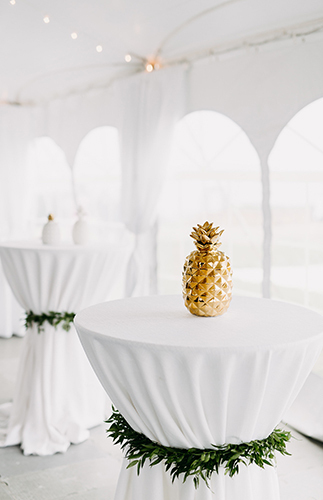 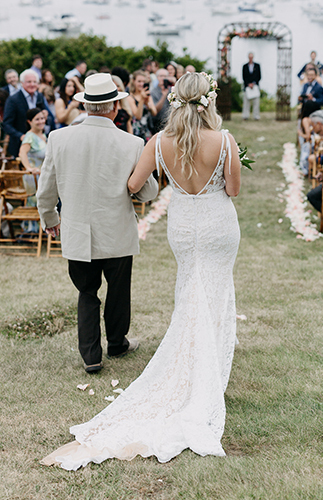 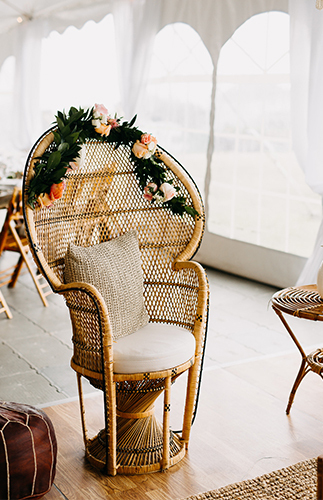 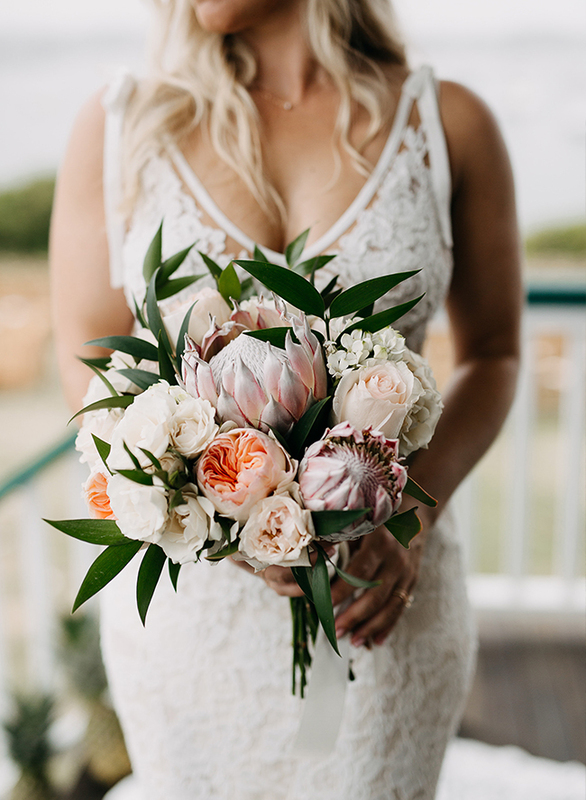 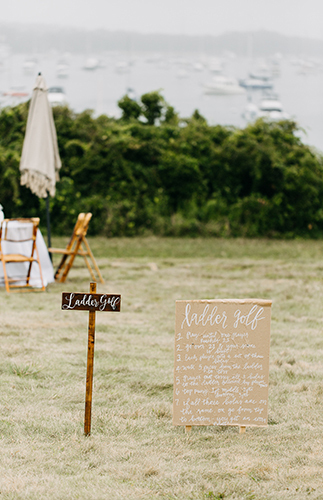 With so many thoughtful, seaside accents and an intimate reception, this wedding gave guests an incredibly lovely experience. 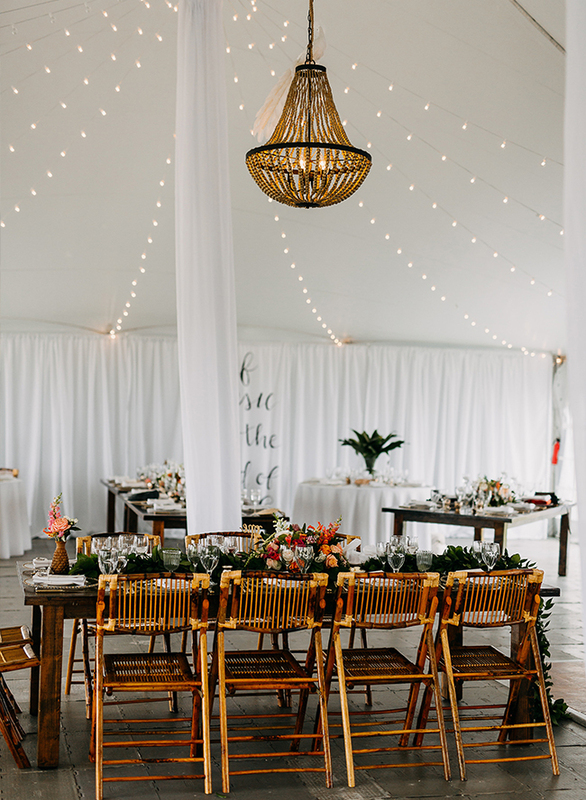 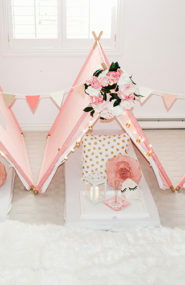 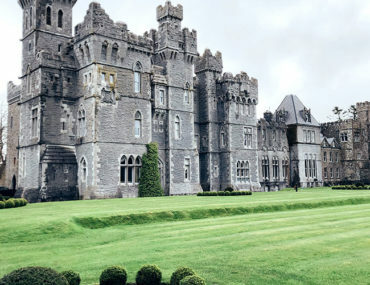 The decor for this is unreal!